This post may contain some affiliate links for your convenience. Click here to read our full disclosure policy. If you’re planning an east coast trip and are looking for must-dos and must-visits, do we ever have the list for you! We’re taking you on an adventure from Florida to Maine, so get ready to start making your east coast bucket list for one epic trip. Planning our west coast trip when we first left on our extended RV trip was down-right exciting. Sure, being newbie RVers, it was also a little nerve-wracking. But overall we were thrilled to be exploring this section of the U.S.
We were very familiar with Colorado, New Mexico, and California – since those were three states we had lived in and traveled through already. 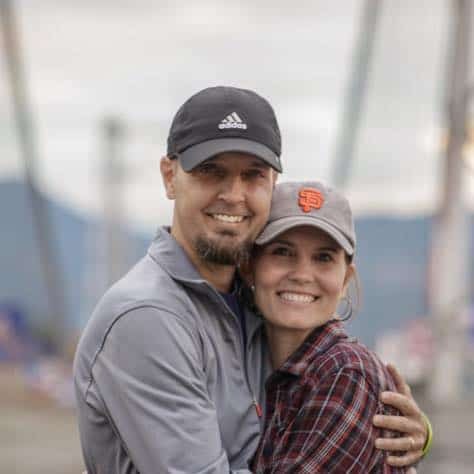 Todd grew up on the border of Washington and Oregon, so he knew that area well. The west coast felt familiar, but also absolutely fantastic. But as we sat down to plan out our east coast trip, in all honesty, we were nervous. Sure, we used to live in Georgia and had been on a business trip to New York. Plus my daughter and I had taken a trip to Washington D.C. several years back, but that was it. As far as driving an RV on that side of the U.S. and making sure we hit all the spots we wanted to, that mission felt very overwhelming. We heard plenty of nightmare stories from fellow RVers about the difficulties of navigating an RV on the east coast. From roads with low bridges to everything being closer together, not spaced out like the west coast tends to be, we weren’t exactly sure what we were getting ourselves into. And on top of that, as we were making our way over from Texas, some, um, helpful campers were telling us how rude people on the east coast were and, I quote, how we “wouldn’t do well over there” because we were too nice. As Todd mentioned in this post, you find what you bring when it comes to travel. We felt like we were going to love the places we visited and the people, and guess what? We did. We saw beauty we had never experienced before. We met fellow travelers who we know will be life-long friends. Our east coast trip was everything we hoped it would be. Are you ready to plan your trip now? Perfect. Here are the places we personally experienced that we think you’re going to love. Side note: We know there are some incredible places we missed, which means we just have to hit the road again ASAP! This National Park really surprised us because it was so unique. And when you’re having to walk around the alligators sunbathing on the sidewalk to see more of the park, it makes for one exciting adventure as well. Not only were there alligators to watch and observe, but also crocodiles, manatees, heron, osprey, roseate spoonbills, white ibises, softshell turtles…just to name a few. 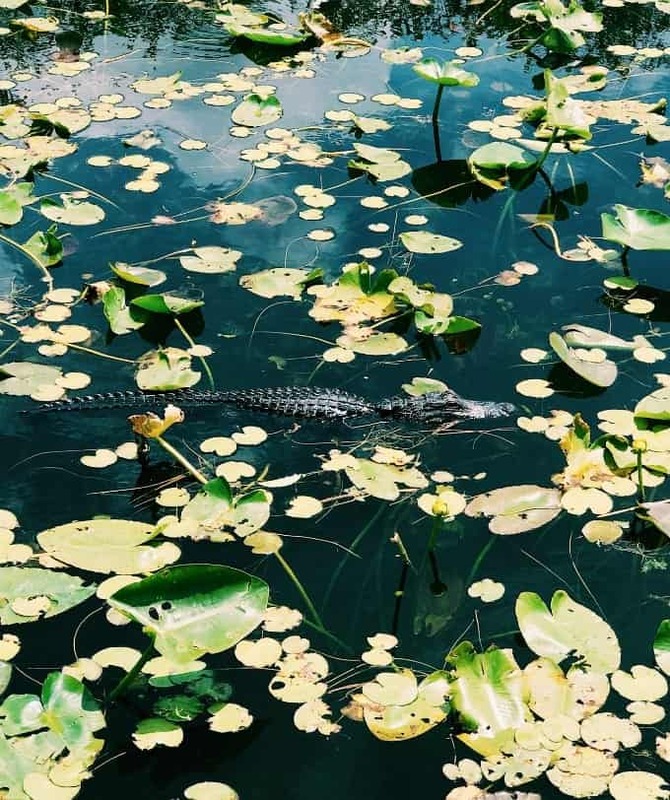 If a park that takes you across at least seven different ecosystems, from Mangrove to Coastal Prairie to Pineland, sounds interesting, then Everglades is the National Park for you. I’ve always said I’m not much of a theme park person. Well, maybe not always, but definitely as I’ve gotten older they have lost their appeal. But when our Harry Potter loving daughter was going to be flying to Orlando, Florida to spend her spring break with us, we knew we had to take a trip to Universal Studios to experience The Wizarding World of Harry Potter. And let me tell you, we had so much fun over the course of five days, that we’re all dying to go back. Who knew we’d have such a blast?! It’s definitely not a stretch to say that this visit to Universal was a major highlight of our east coast travels. Our RVing experience in the Florida Keys was so beautiful and such an incredible drive. Plus, our RV park was right on the water complete with its own restaurant, bar, live music, pool, hot tub, marina and the beautiful waters of the Keys. I didn’t want to leave! 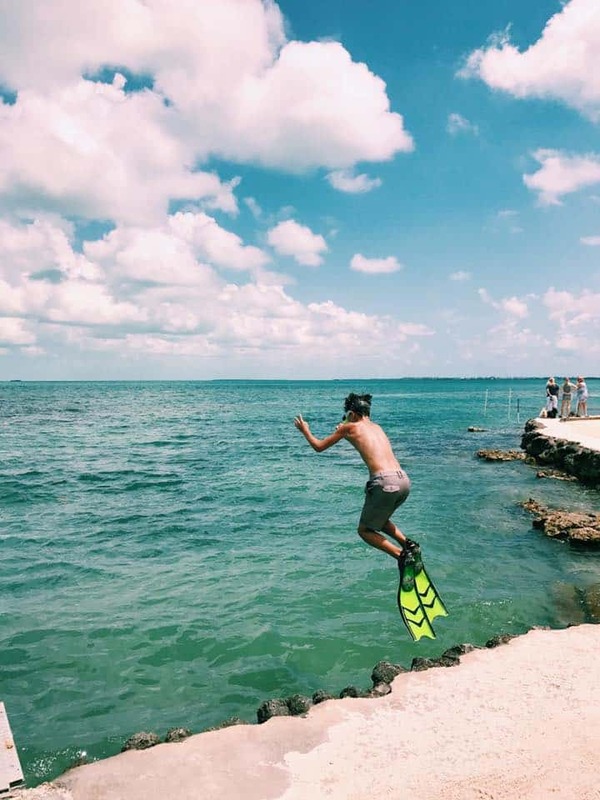 We highly recommend visiting the Florida Keys, whether you RV, drive by car or fly. And if you’re looking for an escape from winter, we named this as one of our top five picks for where to go RVing in the winter. The Wynwood district of Miami is such a vibrant part of the city. 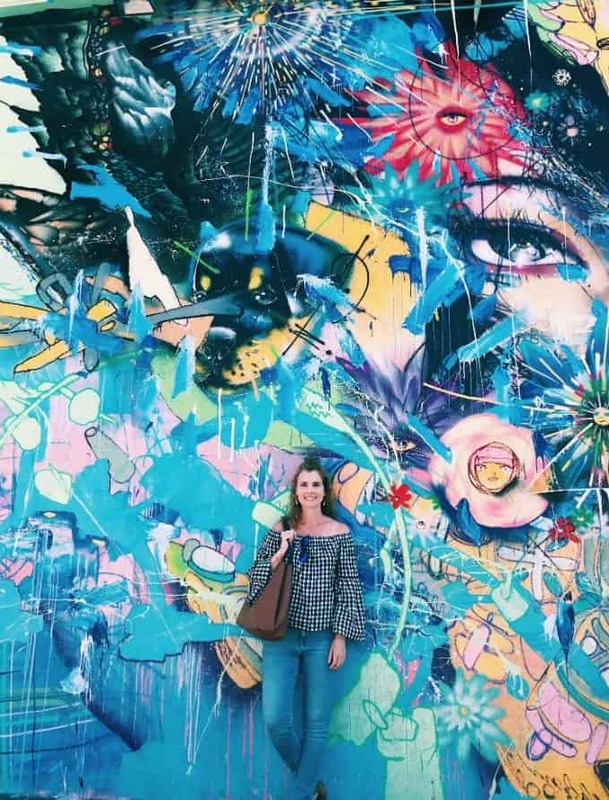 From the delicious food at Coyo Taco to the beauty and uniqueness of Wynwood Walls, this is definitely a place to add to your east cost trip bucket list. Wynwood Walls is the largest outdoor display of “street art” in the nation. There is every type of art you can imagine represented and created by some of the best-known street artists in the world. There are so many things to do in Savannah that we had a hard time fitting it all in since we were only there for a couple of days. 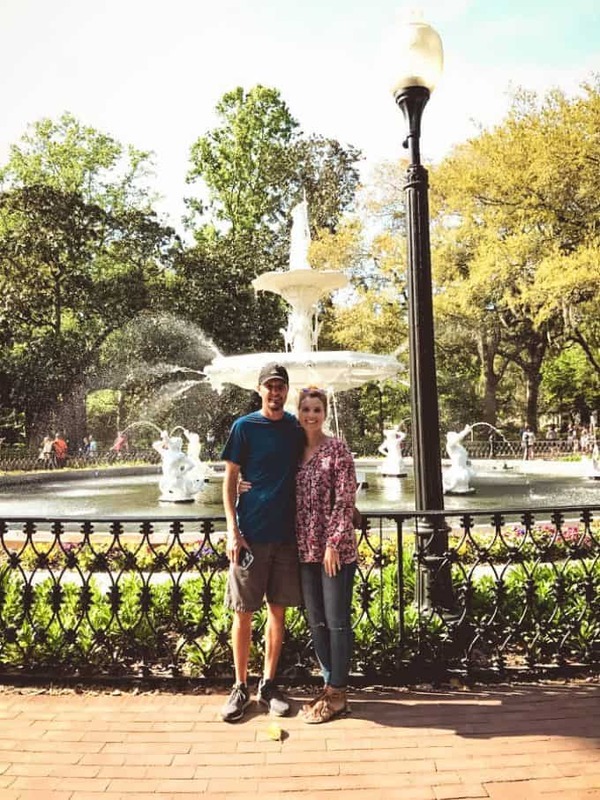 From getting the obligatory picture in front of the Forsyth Park fountain and strolling through their Saturday market to walking around the city and snapping hundreds of pictures of their incredible trees and architecture, there are plenty of activities to keep you busy. The Forsyth park itself is incredible. There was a man playing the trumpet, couples getting engagement photos taken and a woman painting. One feature we really liked about this city was their free dot shuttle service. It runs every ten minutes and you can get on and off at any of 24 stops around the Historic District. You can get more information, as well as download a route map here. 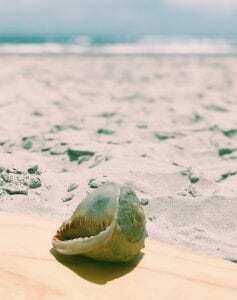 Are hunting gigantic seashells your thing? If so, The Point in Emerald Isle is the place for you. We read online that this was the place to find incredible seashells and the internet did not lie! 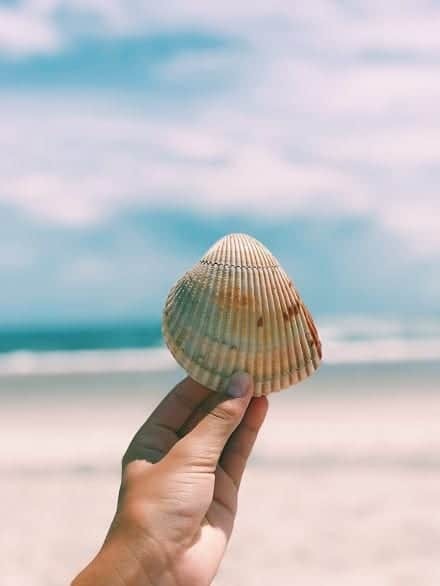 Not only will you find larger than life seashells, but The Point is also unique because it’s secluded, quiet and all-around a very peaceful beach to spend the day. But before you go, be sure to read our post about the parking situation. It can be a doozy to find! For all you adventure junkies out there, spend a few hours with the folks at The Gorge Zipline outside of Asheville, NC for one incredibly fun experience. This is America’s steepest and fastest zipline where you’ll experience breathtaking views of 14,000 acres of protected forest. The staff is phenomenal. They love what they do and you can tell. For pricing, what to wear and a video of our experience, read our post here. 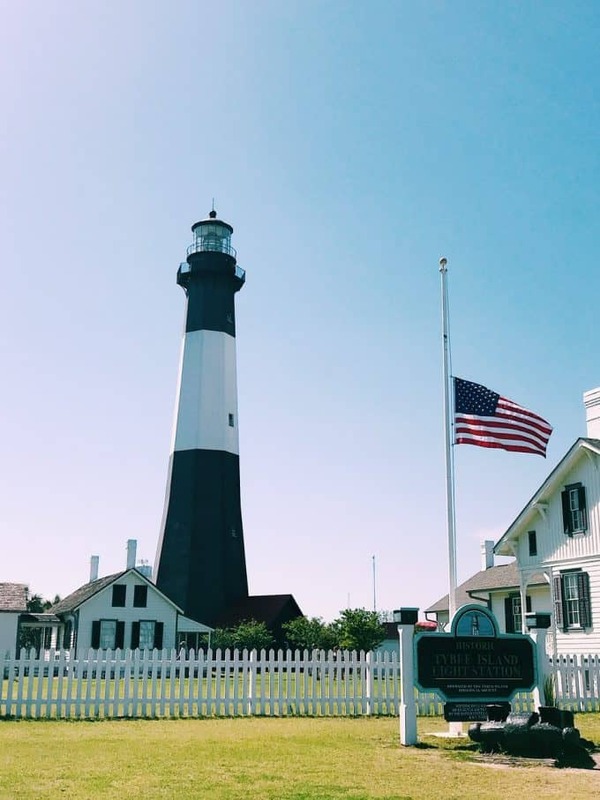 We only had one day to sightsee on Tybee Island, but what a day it was! 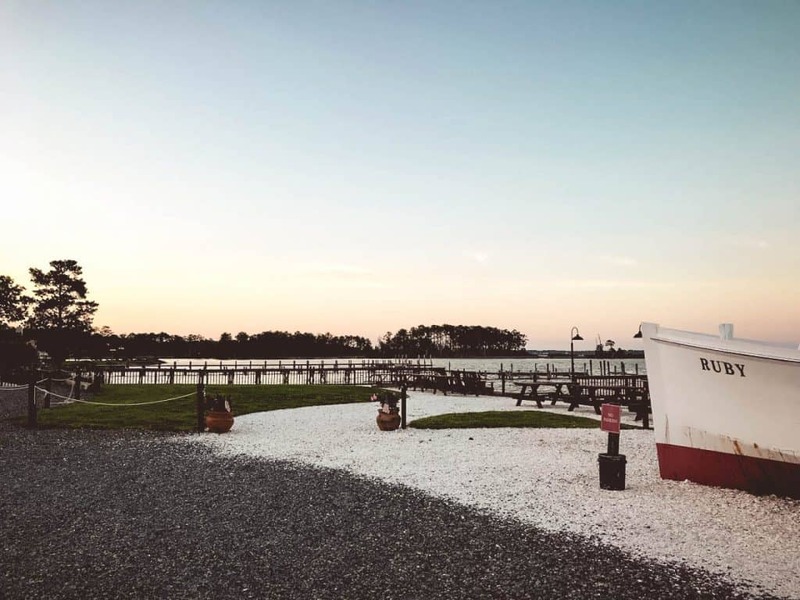 If you enjoy gorgeous beach views, yummy food, and lighthouses, you’ll really enjoy this little beach town. 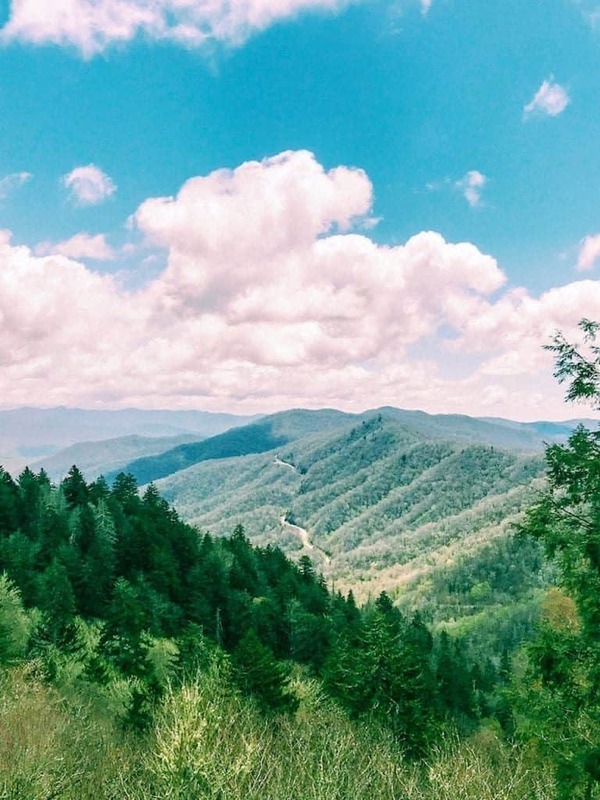 This destination is the most visited national park in the country…and it’s also FREE! Not only is it free, but it is spectacular, offering some phenomenal views and hiking opportunities. If you’re not up for a long hike but would like some views, we highly recommend Andrew’s Bald (elev. 5,906 ft). It’s only 3.8 miles round trip with several sections of wooden steps, making it easy for most to hike. You’ll have some fantastic photo opportunities when you find yourself above the clouds. Our stay in Fair Play, South Carolina was basically for us to stop, take a break from traveling and catch up on work. We were there for about a week and it rained almost every single day. Needless to say, we didn’t get out and explore much. But we did take some time to hike and chase some waterfalls. After the amount of rain they had received, the rivers, waterfalls and lush greenery on the Brasstown Falls hike were incredible. This truly is a hidden gem of a hike. 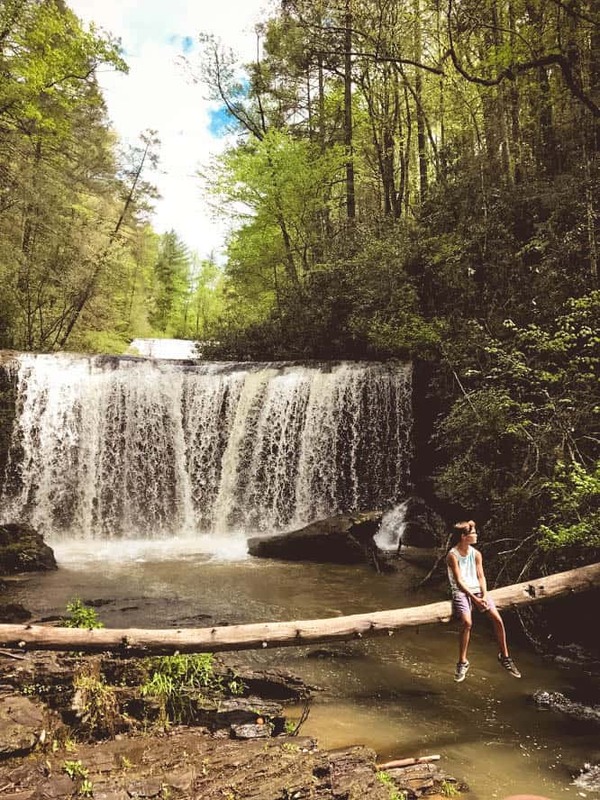 Brasstown Falls is a 3-in-1 waterfall, which means it’s broken up into three different sections. If you enjoy nature photography as my oldest son and husband do, this is a paradise for you. We spent hours hiking and photographing everything we could. It was a very low trafficked hike. We saw no one on the trail the entire time we were there in April. As I mentioned, our oldest son loves to photograph nature and Brasstown Falls was the perfect place for him to experiment with daytime long exposure. He was able to take his time and get some incredible shots like this one. 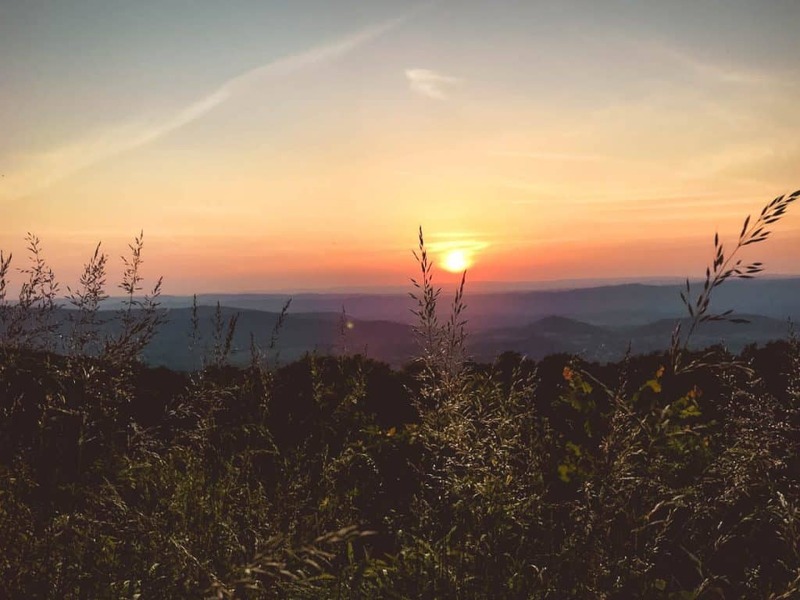 This National Park features the Blue Ridge Mountains, a section of the long-distance Appalachian Trail and incredible hiking trails for the average hiker with views you just wouldn’t believe. One of the hikes we did that’s rated moderate, was the Little Stony Man Loop. It was a hike our entire family enjoyed, with views to be well rewarded with. It was highly trafficked in June, but not enough that it made it difficult or unpleasant at all. For more trail suggestions in the park, be sure to check out AllTrails. The best time to visit Shenandoah National Park is in the spring or on a weekday (in order to avoid the crowds) from June to October. 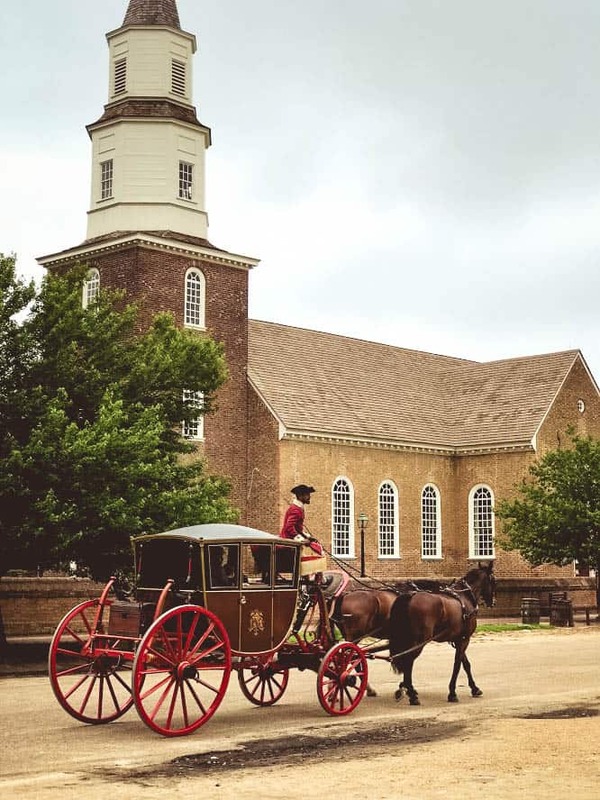 We spent a day touring Colonial Williamsburg and as an activity for the whole family, it was perfect. Not to mention incredibly interesting! 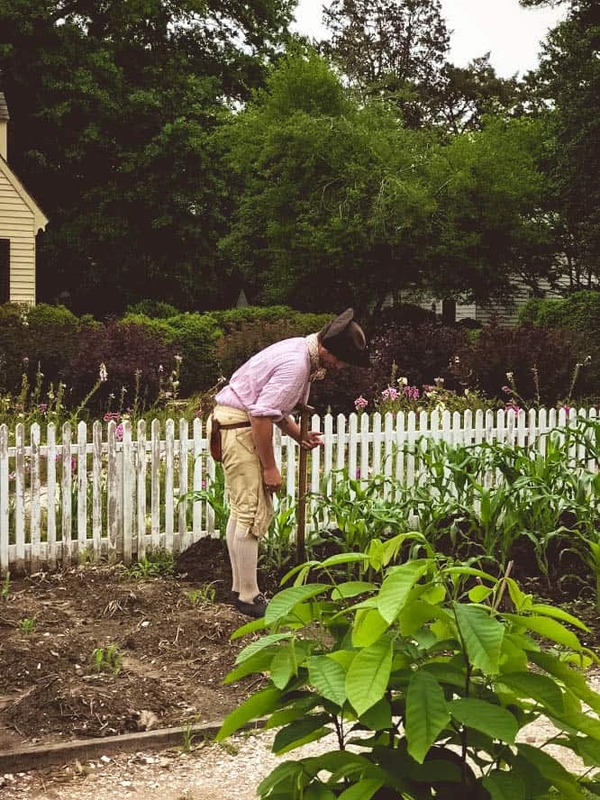 This living-history museum takes you back in time from the moment you step foot inside the marked off area. 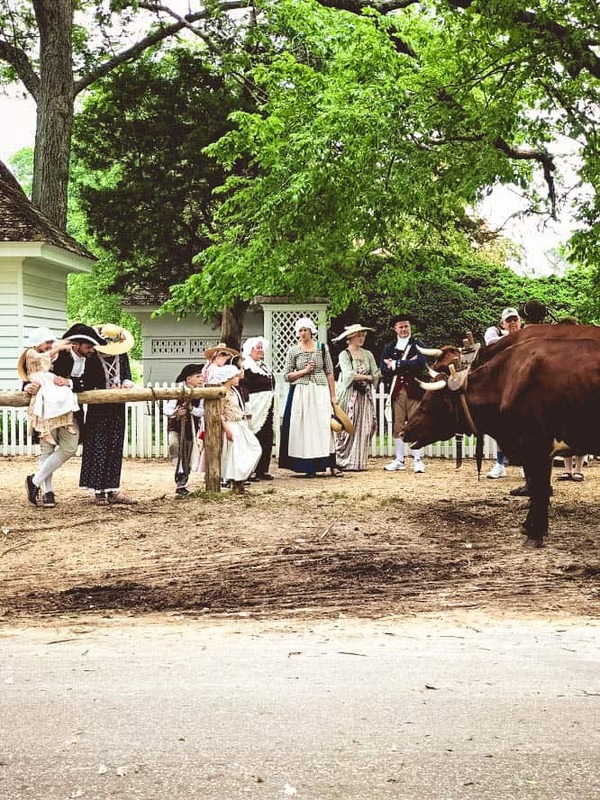 From the architecture, gardens and transportation options, you’re instantly transported into an 18th-century city. You can even go all in and experience what it was like to dress in the 18th-century on one of their tours. 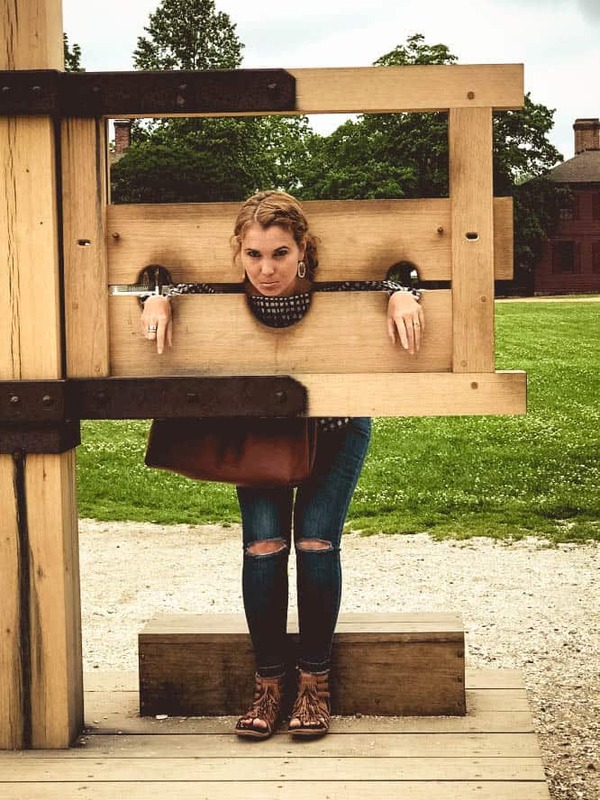 We ended up not paying an admission fee to tour Colonial Williamsburg, which limited what we could do and what places we could visit. But, for us, it was just enough to get a taste of the experience. If you’d like to purchase tickets, visit the official website here. Don’t you love it when you’re traveling, you pick a restaurant to dine at and just cross your fingers it’s worth it? Well thanks to our friends who we traveled to Canada with, we had an amazing dining experience in Topping, VA at the Merroir Tasting Room. We were both staying at the same RV park in VA and decided we needed a couples date. 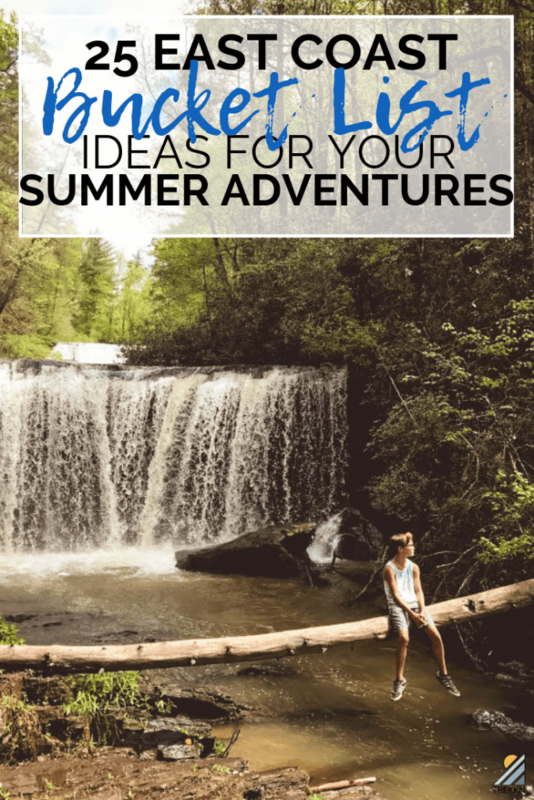 Leave the kids at the RV park while we get quality time with friends? You better believe it! So off we went to what we hoped would be a decent dining experience. It ended up being above and beyond decent. It was pretty amazing in fact! All of their food is small-plate style, either served raw or cooked on an outdoor grill. 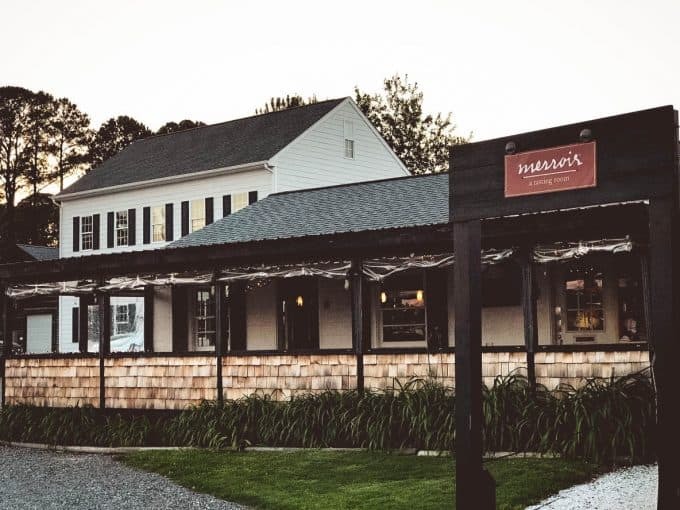 They feature seasonal dishes that are always changing, plus a great selection of craft beer and world-famous wines. It was a meal to remember with one extraordinary setting. Washington, D.C. is just one of those cities I think everyone should visit once in their lifetime. 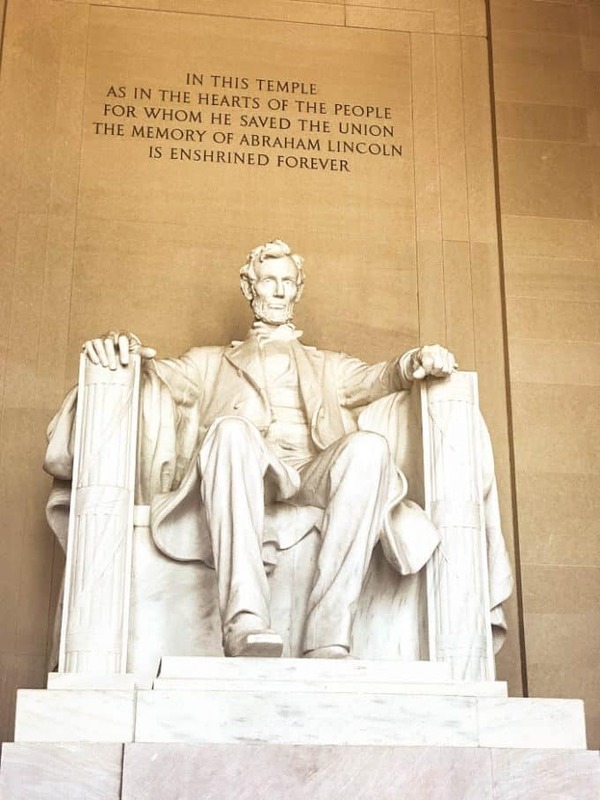 And making sure you stop by for some time with President Lincoln is an essential part of your D.C. visit. Although it was wildly crowded and a little overwhelming when we were there in May, I’m still glad we spent the time to walk over to the Lincoln Memorial. The memorial towers over the Reflecting Pool and anchors the western end of the National Mall. We just so happened to be there during a huge motorcycle rally of veterans, hence the overwhelming crowds. Not only did the size of the memorial put me in awe, but also watching war veterans in wheelchairs and walking with the assistance of a cane or a loved one, walk up to the memorial and just spend a few minutes soaking in the moment. Their pride for their country and how much they honored President Lincoln was evident. Are museums free in Washington D.C.? Most are, yes and this list of 14 can’t miss free museums will give you a good idea of which ones to try and visit. 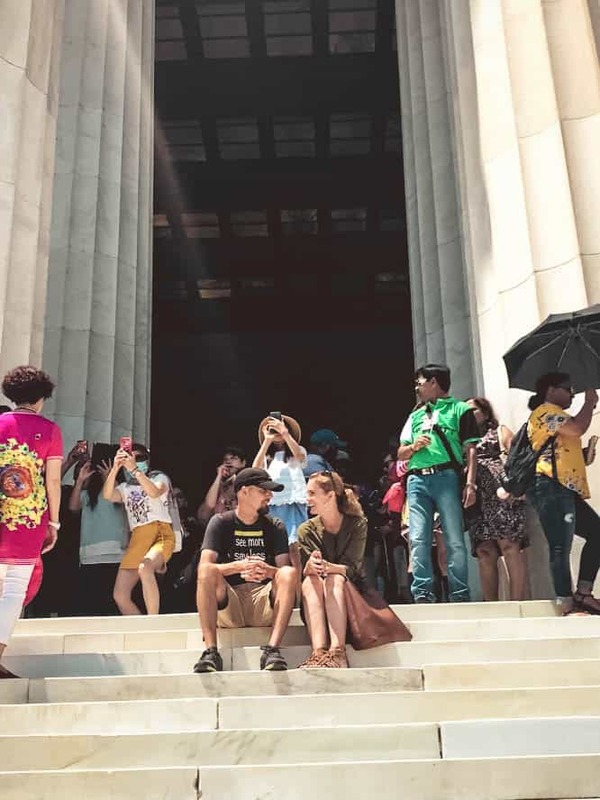 With our limited time there, we were able to visit the National Gallery of Art, National Air & Space, National Museum of Natural History and the National Museum of American History. I’d like to eventually go back to visit the National Museum of African American History and Culture, U.S. Botanic Garden and the Holocaust Memorial Museum. Visiting Washington, D.C. is perfect for families because of all the free things to do in the city, plus it’s so easily walkable. We took the subway in a couple of times, got off at the National Mall and then just walked everywhere. We needed a little bit of help at first to figure out what subway tickets we needed and where to go, but after riding it once, we easily got the hang of it. For 10 days, we rented an Airbnb in Maryland, right on the Chesapeake Bay. It gave us a little break from the cramped quarters RV life brings, plus it had enough space to park our RV. It was literally the perfect space for us at a very reasonable price and we were so thankful! While we were there, I wanted to do something very memorable and had the idea to research some sailing trips. 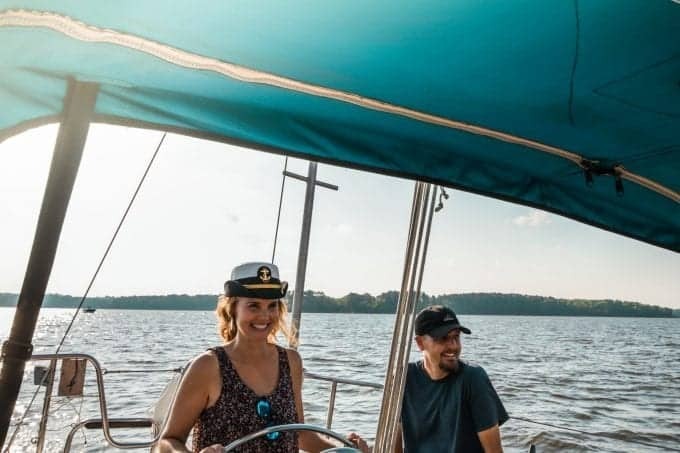 Long story short, we ended up booking a three-hour sailing adventure on the Chesapeake Bay with Captain Paul and the Non Sea-Quitter. It was such a fun experience and one we definitely won’t forget. Before our visit to Philly, we were told a must-eat place was the Reading Terminal Market. It features row after row after row of vendors, offering a little something for everyone. It’s just something you have to experience personally to see what the fuss is all about. Unfortunately, we were there at the same time as a major conference across the street. To say the market was busy at lunchtime would be an understatement. But we managed to navigate it, everyone was fed and we were able to mark that experience off our bucket list. Todd and I wanted to experience a Philly Cheesesteak Sandwich, for obvious reasons, and after finding nowhere to sit, we went outside and ate our sandwiches on a street corner. Our kids lucked out and were able to find seating and some amazing food and juices at Kamal’s Middle Eastern Specialities. I would recommend browsing Eater’s list of the best places to eat at the market, just so you know what to expect. I wish we would have done this so we could have navigated the place a little better and been a bit less overwhelmed. Have you ever heard of Grand Central Station? It’s this little, off-the-beaten-path location….OK, obviously I’m kidding. Who hasn’t heard of this place? Although we usually tend to stay away from so many of the touristy activities, when we’re visiting a big city like New York, with our kids, for possibly the last time as a whole family, you better believe we’re going to hit up places like Grand Central Station. Todd and I experienced it when we took a business trip to NY several years ago, but our kids hadn’t seen it before. So it was on our list of must-see spots in the city. We actually ended up eating there as well, you know, just to prolong the experience. I’m actually not sure I would recommend eating there, especially with everything New York City has to offer when it comes to the culinary world. But, we were there, they had food and we ate. Ah, yes…another off-the-beaten-path location. 😉 What’s a visit to New York City without a stopover at the iconic Times Square? Again, it’s just one of those places we wanted our kids to mark off their bucket list. 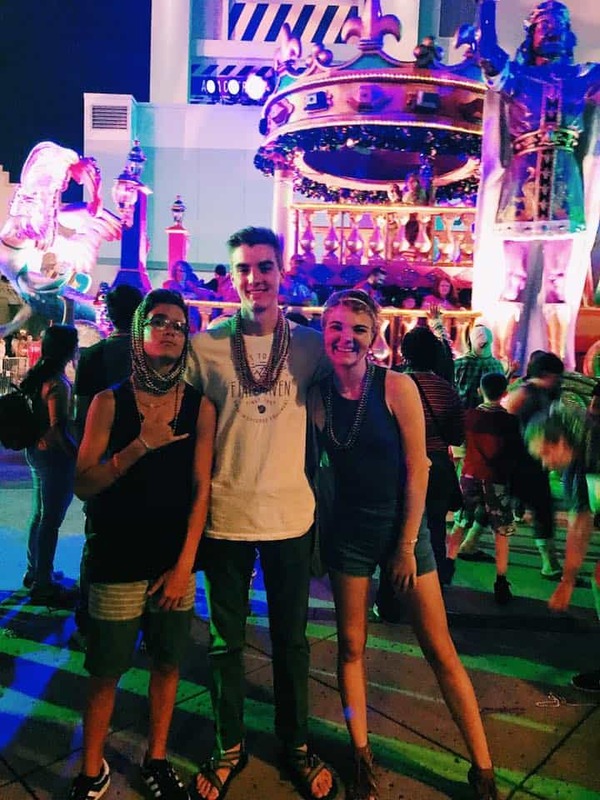 I don’t even think it was on our oldest son’s bucket list, but we dragged him there anyway. Sorry dude. We walked, we ate, we went into the shops. My daughter and I went back in on the subway for a mother-daughter trip into the city and we had a blast. Todd, on the other hand, decided to drive our longbed RAM 2500 straight into Manhattan to hit up Tribeca Skate Park that our son was dying to skate. And amazing memories were made in the shadow of Freedom Tower. If you’re looking specifically for fun things to do with your teenage daughter in NYC, check out my post here. I really shouldn’t be telling you to mark Niagara Falls off your bucket list since I haven’t yet. But, Todd and our boys did, so it counts. I was flying back to Texas with my daughter to get her moved back into her dorm for the fall semester and the boys were booking it from Maine to Montana as fast as they could. Before they picked me up in Chicago, they were able to experience Niagara Falls. Here are a couple of Niagara Falls tours Todd recommends. I will make it to Niagara Falls one of these days. I have no doubt. Do you want to visit New York City via RV? We did too. Todd found an RV park in the heart of Jersey City, with a view of the Statue of Liberty and only a few blocks from the subway station. It ended up being the perfect place for our family to experience urban RVing, as well as hopping on the subway for a pretty short ride into NYC a few times. We wrote up a guide all about RVing in New York, including tips on purchasing subway passes. Boston was one city that really surprised us. We had the most incredible time and fell in love with this city. The people were so nice, the city was clean and there was no shortage of things to do. We knew we had to eat and have a beer at the Bell in Hand Tavern. It was founded in 1795 and became a gathering place for printers, politicians, sailors, and students. On their website, they say it was a place where everyone felt welcomed, attracting people from all walks of life. The founder was Jimmy, the town’s crier for 50 years. Needless to say, he was well-known. So if you’re looking for a good meal and a tasty brew in a place with more history then you can fathom, the Bell in Hand Tavern is a must-visit. When I think of Vermont, I think of two things: cheese and maple syrup. Okay and gorgeous foliage and maybe Bernie Sanders. We stayed at the Crown Point Campground, one stay that made it on our favorites list. The campground was so well taken care of, the owner was incredibly nice and they had all kinds of activities. My youngest son and I went to a bonfire they had one night and I am not kidding when I say it was the biggest one I’ve seen in my life. Not too far from the campground was Sugarbush Farm, a place we were told was a must-visit. And boy were they right. We tasted (and just about bought) all of their cheeses and syrups, took a self-tour of their maple syrup producing set up, watched a video of the syrup making process, fed their goats, rabbits, a calf and other farm animals and over-all had a really fun time. While we have loved all the National Parks we’ve visited, Acadia NP was one of those jaw-dropping I-can’t-believe-how-beautiful-this-place-is kind of experiences. While visiting, we saw the park covered in fog which made for some incredible pictures. We saw it lit up by the sun. We enjoyed the beach at sunset and went on some hikes of a lifetime. 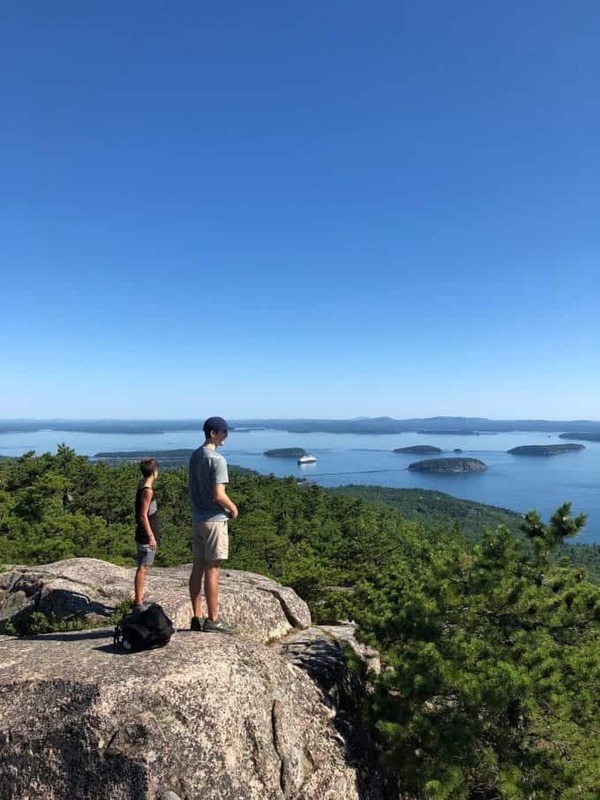 If hiking is your thing, be sure to read our post on threeAcadia National Park hiking trails you can’t miss. 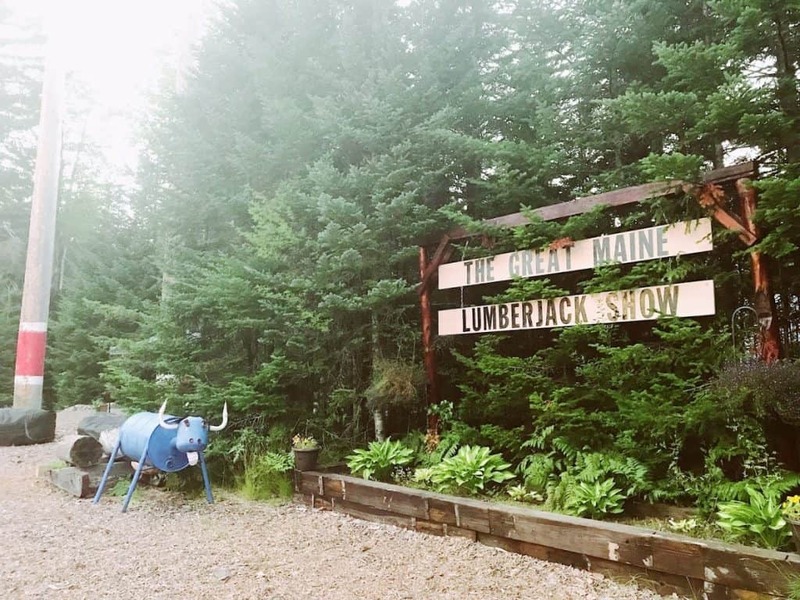 One of our last experiences in Maine before we headed for Prince Edward Island and Nova Scotia, Canada, was the Great Maine Lumberjack Show. 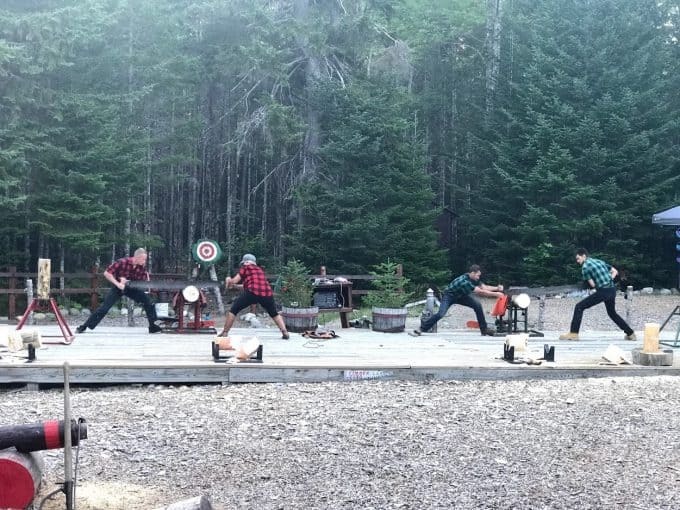 If you’d like to see chopping, sawing, log rolling and some good ol’ competition, mark this down as a must-do. It’s reasonably priced and perfect for all ages. Are you even more excited for your east coast trip now? We hope so! And we truly hope we have given you some helpful ideas on must-visit places – some very well-known and some not so much. If you stop at any of the places, drop us a line and let us know what you thought! 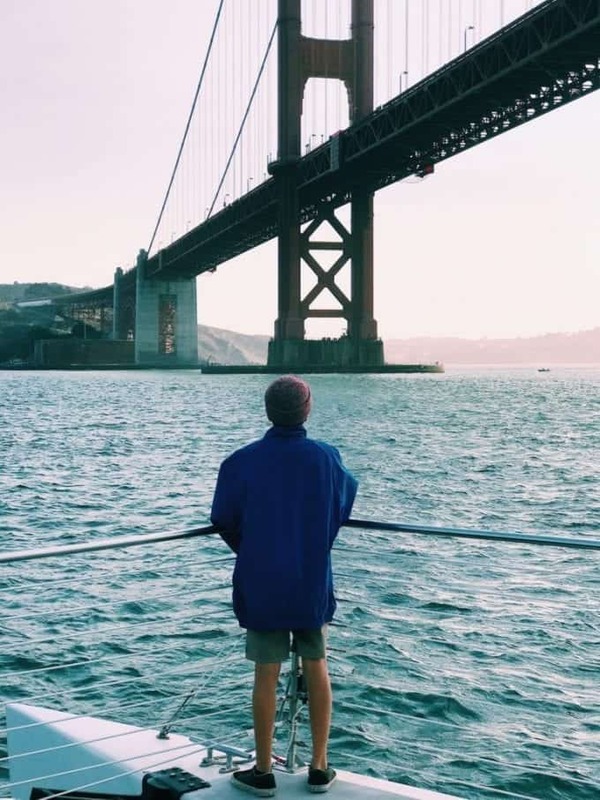 2 Niagara Falls Tours You Should Not Pass Up What to do in San Francisco with your Family A Tiny Taste of Great Smoky Mountains National Park in North Carolina Where to go RVing in the Winter: Our Top 5 Picks! You list of locations is fantastic! We are not RV’ers ourselves but I have definitely added some of you recommendations to our must see list. In particular The Point in Emerald Isle, Acadia National Park, Colonial Williamsburg and Tybee Island. I am intrigued by your travels. I am going to read more, and who knows maybe try an RV trip in the future. TREKKN is a participant in the Amazon Services LLC Influencers/Associates Program, an influencer/affiliate advertising program designed to provide means for sites to earn advertising fees. As an Amazon Associate, I earn from qualifying purchases.